When we moved into our house last June, a friend gave me this awesome wine rack. I love it because it does everything. 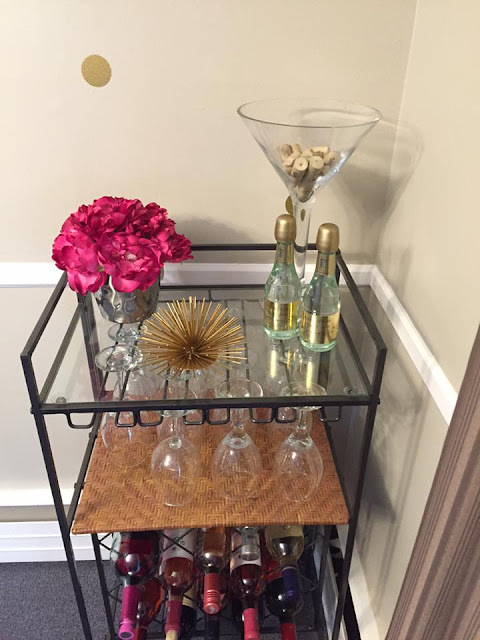 It holds SO many bottles, has a gorgeous glass top for me to add some of my favorite decor accents, and I love that I have a place to store all of my wine glasses now because I definitely don't have enough space in my kitchen cabinets. 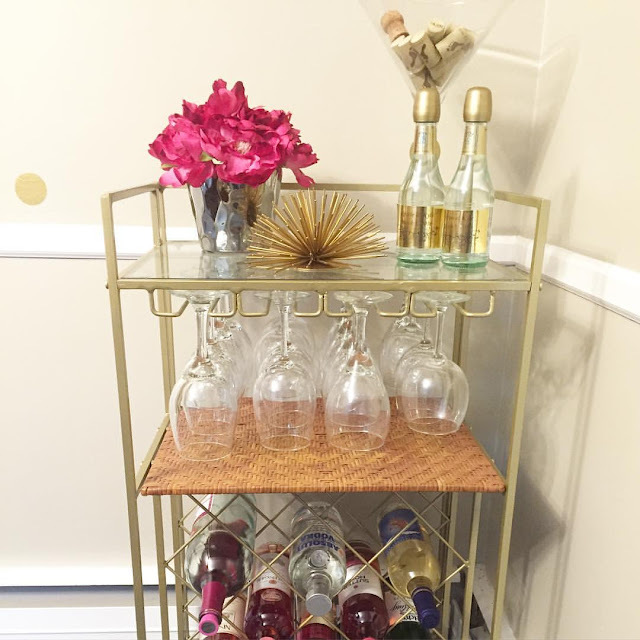 I really love gold and I think it's so classy so what better way to update the wine rack then to paint it gold. Since it's metal, all I had to do was buy 2 cans of gold Rustoleum spray paint, take it outside after removing the wicker top, glass top, and all the wine (obviously) and I spray painted 2 coats of gold on. This was also my very first DIY project ever. So yay for me! i know! it made a huge difference! This is best idea for your modern home. I'll definitely try this out. I think I need to give a special order to make this rack for my house. Rocky's 12, Houseiversary, + Father's Day!